St John Ambulance is running The Chokeables, an integrated advertising campaign teaching people how to save lives of choking babies. 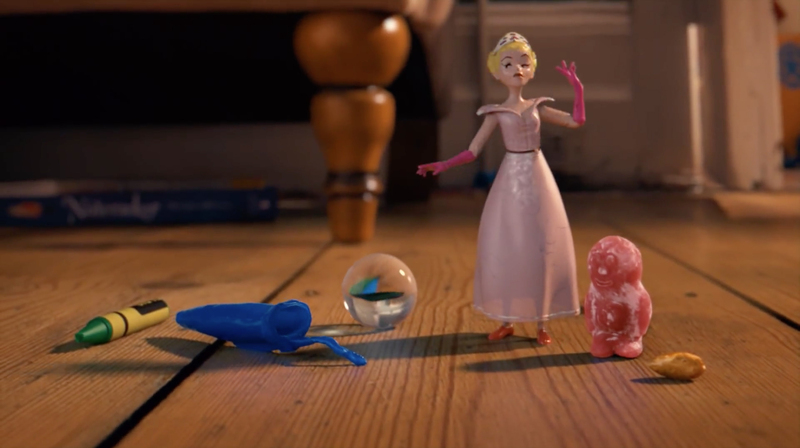 The commercial at the heart of the #TheChokeables campaign features the voices of British comedians and actors David Mitchell, Johnny Vegas, David Walliams and John Hurt. Pen lid, marble, princess and jelly baby have had enough of being a hazard and they are here to show you the correct technique to save a choking baby. A small princess toy, a pen lid, a jelly baby and a peanut have joined together because they’ve had enough and want to show how easy it is to save a choking baby’s life. David Mitchell, as a chewed up pen lid, asks for the audience’s attention. Johnny Vegas the jelly baby explains that they’re fed up of real babies choking on innocent objects like them. He then starts struggling for breath and turns blue. David Walliams’ lofty princess character shows the correct technique to save the choking jelly baby – up to five back blows, followed by up to five chest thrusts. The coughed up peanut (John Hurt) reminds viewers about the ambulance option. 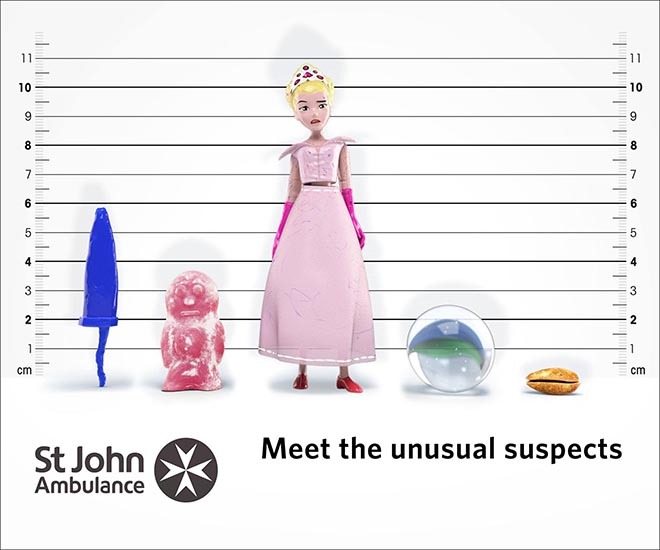 Underpinning the TV is a page on the St John Ambulance site, www.sja.org.uk/TheChokeables, social media advertising, digital video, display advertising, pay per click work, along with strategic partnership with Bounty, a key platform for reaching new and expecting parents. The campaign was developed after new research for the nation’s leading first aid charity revealed today that four fifths of parents (79%) wouldn’t know how to save their baby from choking to death despite it being a major fear (58%) and 40% having witnessed it. Steve Conway, St John Ambulance’s Director of Brand Marketing. 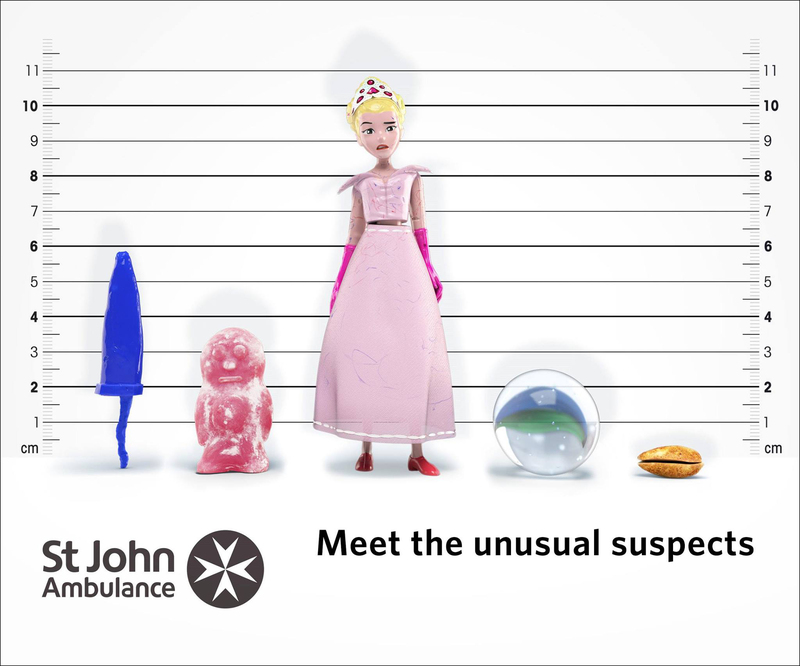 Communications and Fundraising, said: “This campaign marks a new stage in St John Ambulance’s approach. We are deliberately moving away from our harder hitting campaigns – which were useful at getting people to think seriously about first aid. Now we need to educate directly. We’ve started with parents because our research showed they are an audience which really wants to know first aid. We hope they share the film and also look at our website for further resources”. The St John Ambulance Chokeables campaign was developed at BBH, London, by creative directors Matt Doman and Ian Heartfield, creative team Matt Moreland, Chris Clarke, Rob Ellis, Alex Ball, strategy director Rowena Prest, business lead Paul Matuszczyk, team director Leo Sloley, producer Rachel Hough, assistant producer Vaia Ikonomou. Filming was shot by director Si & Ad via Academy Films with producer Dom Thomas, director of photography Tristan Oliver. Post production was done at Electric Theatre Collective by lead CG artist Remi Dessinges, CG team Julian Soulage, Karen Halliwell, animators Aziz Kocanaogullari and Eduardo Castells Mateo, Nuke artist Taran Spear, Flame artist Paul Wilmot, producer Matt Williams and colourist Aubrey Woodiwiss. Sound was produced at 750mph by Sam Ashwell. Media was handled at John Ayling and Associates by business director Genevieve Tompkins, planners George Gwilliam, Daniel Denman and TV director Steve Venes. PPC is being run by Reprise Digital.